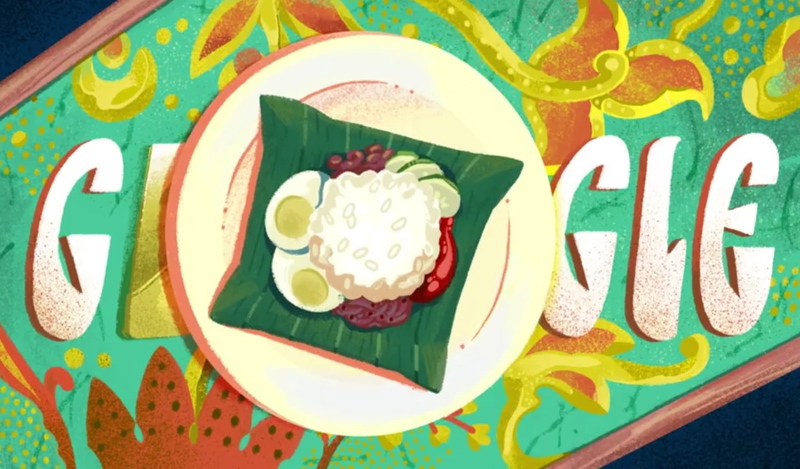 Google got delicious and satisfied the palate, as Google Doodle featured Nasi Lemak as the national dish of Malaysia. 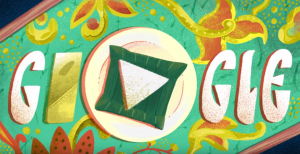 The 40-second animation showed how nasi lemak and its condiments were made, from the boiling of rice, frying of peanuts, anchovies, and chicken, and served it with sambal or packed in banana leaf. Titled “Celebrating Nasi Lemak”, the rice recipe was first created as a hearty breakfast for farmers in southeast Asia. Illustrated by Alyssa Winans, Google said nasi lemak is often sold at roadside stalls in a bungkus or wrapped in banana leaf or brown paper. It is so popular that it is also eaten for lunch and dinner, too. Google Doodle described the “humble delicacy” as a rich, fragrant and spicy dish that is “considered the national dish of Malaysia”. 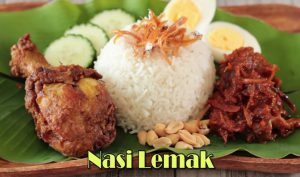 Nasi lemak translates to “rich rice” but according to popular belief, nasi lemak got its name from the ingredient used to make it; “nasi” means rice, while “lemak” which translates to fat or enrichment referring to the coconut milk as one of the ingredients in which the rice is cooked. Legends tell a story surrounding the dish, the daughter, Seri, of a widow named Mak Kuntum accidentally spilled coconut milk into the rice pot one day and was discovered. 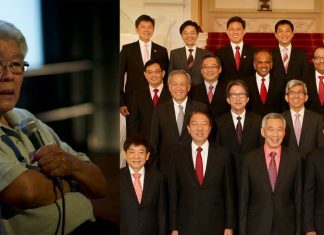 There are many versions of nasi lemak, each reflecting Malaysia’s multi-ethnic melting pot of Malay, Chinese, Indian, and other indigenous and imported cultures. The video highlighted the fundamental recipe which is rice cooked with santan or coconut milk and flavoured with pandan (screwpine leaves) and galangal root, served with ikan bilis (fried anchovies), crispy peanuts (skin on), sliced cucumber, hard-boiled egg, and sambal (chilli paste) or a splash of tamarind juice, with an optional piece of fried chicken or beef rendang on the side. The sambal, a hot sauce, is regarded to be the special ingredient in nasi lemak, “the soul of the dish” that links all the ingredients together. This Malaysian favorite rice dish is also enjoyed and craved in other Southeast Asian countries like Singapore, Indonesia, and Thailand, with their own versions of such. In Singapore, omelette, fried chicken, and curry are side dishes; while in Thailand, nasi lemak is paired with Thai’s favorite dish, tom yam sauce. In Indonesia, a similar dish is popular in Riau, and different versions of it called nasi uduk in Jakarta, nasi gurih in Aceh and nasi liwet in Java. Coconut milk rice with a variety of unique condiments and toppings are still the ingredients.